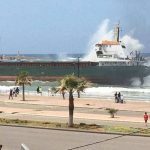 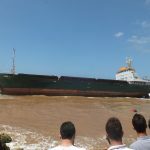 On April 23, the 77 meter long, 1426 dwt cargo vessel Nabil J ran aground just outside the port of Saida, Sidon, Lebanon. 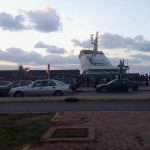 The Nabil J had arrived from Iskenderun and had dropped anchor at the anchorage off Sidon on April 11. 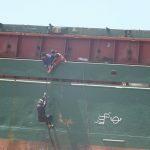 The vessel remained moored until April 23 when the anchor chain snapped. 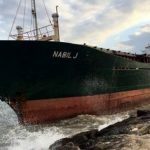 Pushed by strong winds, the Nabil J was blown ashore. 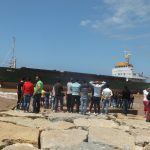 The cargo vessel landed parallel a few meters off the rocky breakwater at Sidon. 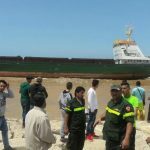 Reports state the vessel had been pounded by the surf, but no reports of injuries. 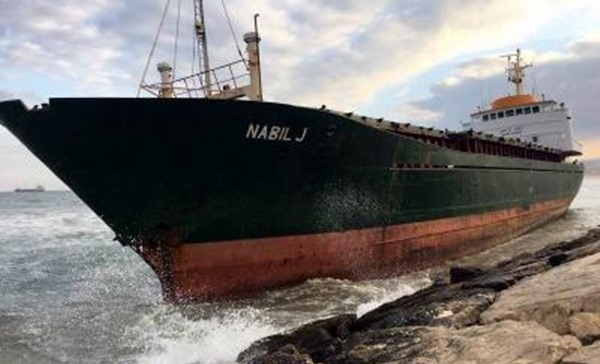 Reports state authorities have requested tugs to help pull the Nabil J off the beach. 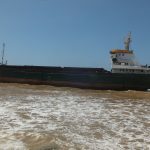 There is some concern that the cargo vessel will suffer hull damage and release fuel oil into the water damaging the nearby fisheries and beaches.